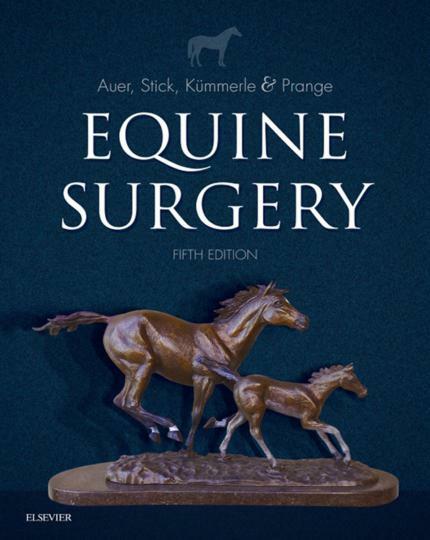 Our goal for the fifth edition of Equine Surgery was to maintain the high standard of the previous edition and continue its position as the leading worldwide clinical reference and teaching textbook for equine clinicians, practitioners, surgery residents, and students. Equine Surgery 5th Edition, Equip yourself for success with the only book on the market that covers all aspects of equine surgery! Equine Surgery, 5th Edition prepares you to manage each surgical condition by understanding its pathophysiology and evaluating alternative surgical approaches. Explanations in the book describe how to avoid surgical infections, select and use instruments, and perfect fundamental surgical techniques including incisions, cautery, retractions, irrigation, surgical suction, wound closure, dressings, bandages, and casts. In addition to diagnostic imaging and orthopedic coverage, it includes in-depth information on anesthesia, the integumentary system (including wound management, reconstructive surgery, and skin grafting), the alimentary system, respiratory, and urogenital systems. We have retained all of the features that were popular in the first four editions and have significantly updated all chapters in the fifth edition. We continued to select known and novel contributors who are recognized as experts in their fields to author the chapters in this edition. Through all four previous editions we maintained the same overall style of the book cover, mainly the font and the little horse on the back and the front cover. The only thing that changed was the color of the cover. For the cover of the previous edition we added a colored drawing by Matthias Haab, our illustrator.